PALMDALE – The City of Palmdale’s Neighborhood Services Department is currently accepting applications for Volunteer Administrative Hearing Officers. The person appointed to this position will provide fair and impartial hearings and disposition of all contested cases involving violations of the California Vehicle Code and the City of Palmdale Municipal Code. Applicants must be available to serve one day each month, typically a Wednesday or Thursday, between the hours of 8 am and 5 pm. Related work experience in criminal justice is preferred, including law enforcement, courts, probation/parole and corrections. Successful applicants will enter into a twelve month agreement with the City, with an option to extend. To apply, submit a completed application and optional resume to Human Resources no later than Monday, Jan. 6, 2014. 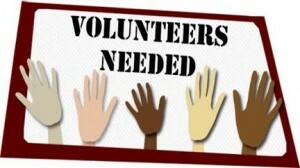 For more information please visit www.cityofpalmdale.org/pbp/volunteer.asp or call Dulce Gomez at 661-267-5436.